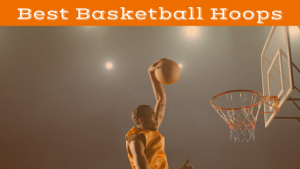 Indoor and outdoor basketballs may not look particularly different, but shoot around with the various types for more than a few minutes and you’ll quickly realize that they are. Indoor basketballs don’t have to deal with the rough floor surface that outdoor balls often do, meaning they are generally made of leather, something which isn’t feasible for an outdoor basketball due to the harder surface of the ground. 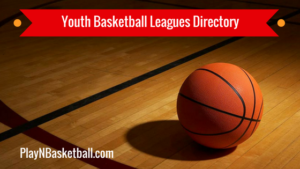 There are a plethora of choices available to you when searching for the best indoor basketball this 2019 season, and this review will make it that little bit easier for you to find the right one. 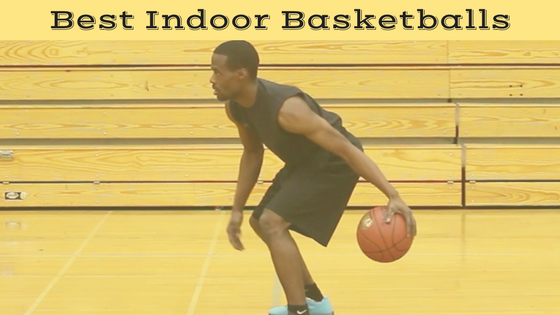 Is there any way to make your indoor basketball last longer? Wilson Evolution Indoor Game Basketball Review: This ball provides arguably the best ‘feel’ of all the balls on this list. It is incredibly soft, and grips perfectly to your hands while you try to replicate some of Kyrie Irving’s toughest moves on your opponent. Despite these high levels of grip, it is still incredibly easy to shoot, enabling you to nail more long range shots than any other ball. On top of that, it comes in at a much cheaper price than some of it’s competitors, and will last you for many years. There are no major flaws with this ball, and not only is it the best Wilson indoor basketball, but it is the best indoor basketball of 2019, period. Buy this ball and you will get great enjoyment out of the product for a long, long time. Spalding NBA Official Game Basketball Review: The name alone of this basketball should be enough to justify its place on this list. This is the exact ball used in the NBA, the same ball you see LeBron drive to the rack with, and the same ball Steph Curry drains eight 3-pointers in 30 minutes of action with. The ball has a great leather feel, enabling you to get the most out of both your handles and your shot. With a full grain horween leather cover, it is also extremely durable, meaning the higher price you will pay for this ball will be justified. Of course, being the official NBA game ball it also has a great look, with the official NBA logo and signature of NBA Commissioner Adam Silver showing your opponents that you mean business. Overall, this is the best Spalding indoor basketball you’ll find, and is well and truly worth the extra cost. 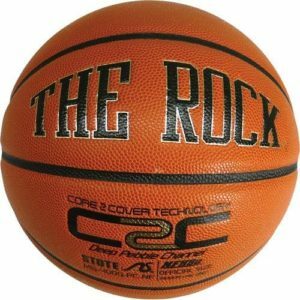 The Rock Official Mens Basketball Review: The Rock may not be a brand everyone is familiar with, but one session with this ball and you will be on the bandwagon. The Rock has as good a grip as any basketball on this list, and you will genuinely improve your ball handling skills using this product. Users love it, with nearly every review a glowingly positive one. This ball has such good grip it will feel like you have super glue all over your hands, but don’t worry, you’ll still be able to shoot as well as with any other ball on this list. The ball isn’t made of genuine leather, which may bother some users, but in general the quality of the ball far outweighs this fact. This Rock basketball review should be enough to convince you, but if you aren’t convinced, try it out for yourself. You won’t be disappointed. Molten BGG Composite Basketball Review: This is the ball used in the Olympics, the one you see Carmelo Anthony hit almost every shot with as he represents the Dream Team alongside the likes of LeBron and Steph Curry. It is made of a composite leather, making it appropriate for outdoor use, but despite this it feels just like real thing. The 12 panel design provides extra grooves in which you can rest your fingers as you knock down long range shots, and the colored panels allow you to perfectly see the amount of backspin you’ve imparted on your shot. For it’s quality, this is a relatively inexpensive product, and is the best Molten indoor basketball money can buy. 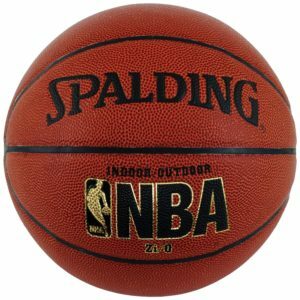 Spalding NBA Zi/O Indoor/Outdoor Basketball Review: The Zi/O Basketball is made of a composite leather, which makes it suitable for use both indoors and outside. 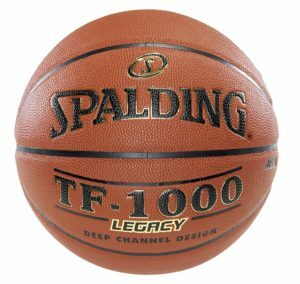 Spalding have excelled, however, in ensuring this composite leather mimics real leather as closely as possible. Full ball pebbling provides an extremely soft feel and great grip, meaning you’ll be able to maximize your talents both handling and shooting the ball. This ball is really durable too, and you’ll get plenty of use out of it. Despite being durable and high quality, it also comes in much cheaper than many of its competitors, making it a great choice for an indoor basketball. Spalding TF-100 Legacy Indoor Composite Basketball Review: Spalding make a lot of different basketballs, so it’s inevitable that they’re occasionally going to miss the mark, and this ball is one such example. The composite material used in its construction doesn’t mimic leather particularly well, and there are certain defects that make this ball inferior to its competitors. For one, it doesn’t tend to bounce as well as other balls, which can really have a major impact on your ability to handle the ball. It also lacks durability, which some similarly priced balls have, with the seams coming apart after just a few uses according to some users. This is not the worst indoor basketball available, but considering its price and the number of problems associated with it, it’s definitely best avoided. 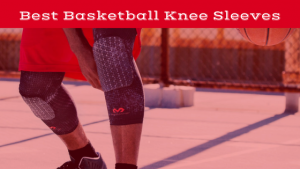 Under Armour 395 Indoor/Outdoor Basketball Review: Under Armour is one of the best sporting brands in the world, but they haven’t quite perfected their basketball design yet. This ball feels okay, but the major problems are with it’s durability. It wears out extremely quickly, and though it isn’t particularly expensive, it isn’t really worth buying if it’s only going to last a few weeks. On top of that, it doesn’t tend to hold air very well, often deflating significantly after just a single session. These problems are enough not to bother purchasing this ball. It may be cheap, but it’s cheap for a reason, so stick to some higher quality balls. 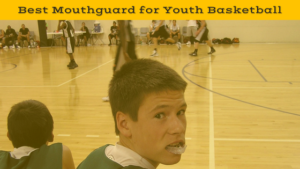 Your basketball is probably the most important piece of equipment you’ll have in your quest to become a better player. For that reason, it’s imperative to ensure you choose the ball that suits you best, and to do this there are a number of factors you need to consider prior to your purchase. Here are three of the biggest considerations you’ll need to make. 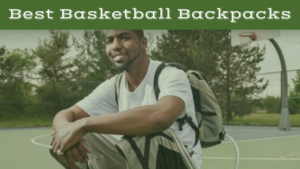 Material: A great benefit of buying what is considered to be one of the best basketballs purely for indoor use is that you can buy a ball made out of genuine leather. These can’t be used as outdoor balls as they will wear out, but they generally provide a much softer feel, and are easier to handle and shoot. For this reason, many ballers opt to purchase a ball made out of this material if they know it’s going to be used purely indoors. Composite materials vary in quality. Some do a great job of mimicking genuine leather, and in these cases they can be a great buy because if you do ever need to use it outside, you can do so without wearing it out. Others, however, will see a major compromise in quality, and won’t really replicate the balls you’ll be using in competition. If you’re going to opt for a composite material, make sure you do the research to ensure it’s not going to be a major drop off in quality compared to genuine leather. Feel: This factor relies a little bit more on trial and error, though reviews will give you some idea as to which balls have a feel that most users prefer. Essentially, feel refers to how the ball feels on your fingertips. 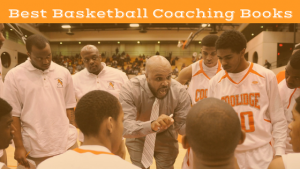 It impacts how comfortable you will be handling the ball, and how easily you’ll be able to use your hesitation dribble to get around your man. It influences your ability to make shots, with softer balls tending to sit more comfortably in your hands as you release your dagger 3-point attempts. The feel of the ball is obviously heavily impacted by the kind of material it is made out of, but it is not entirely determined by this. Different balls made out of genuine leather can feel very different in your hands, and impact how much you get out of your purchase. 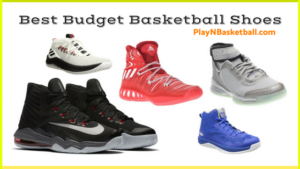 Price: This is relevant with lots of different products, but particularly so for indoor basketballs given how much they can vary in price. The cheapest balls can often come in for under US$25, which is an extremely small price to pay for something that you’ll no doubt get a lot of use. There is a case of buyer beware with these types of balls though, as the reduction in price generally results in a reduction in quality too. If the ball is going to come apart at the seams after a few weeks, or not provide you with the kind of quality use a more expensive ball will give you, it’s definitely worth considering forking out a few extra dollars for a better product. Quite simply, the best way to maximize the length of use you get out of your basketball is to take care of it, and use it as it was intended to be used. If you buy a genuine leather ball, don’t even let it touch the ground outside. If you use it predominantly inside but still occasionally use it on a hard, concrete outdoor surface, it’s going to impact the longevity you get out of your ball. If you leave it out in the rain, it’s going to impact the longevity of your ball. Use it in the way the manufacturers intended it to be used, and you’ll get more use out of it. The kind of basketball you can use indoor can differ greatly from the kind you might use outside. Often, you’ll find people use genuine leather balls indoor, and these can provide superior feel and durability to other kinds of balls. 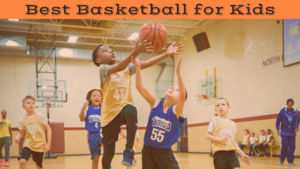 There are a lot of different options for indoor basketballs, and this article has provided some tips on what to look for, as well as a list of some of the best indoor basketballs this 2019 season to make things a little easier for you.